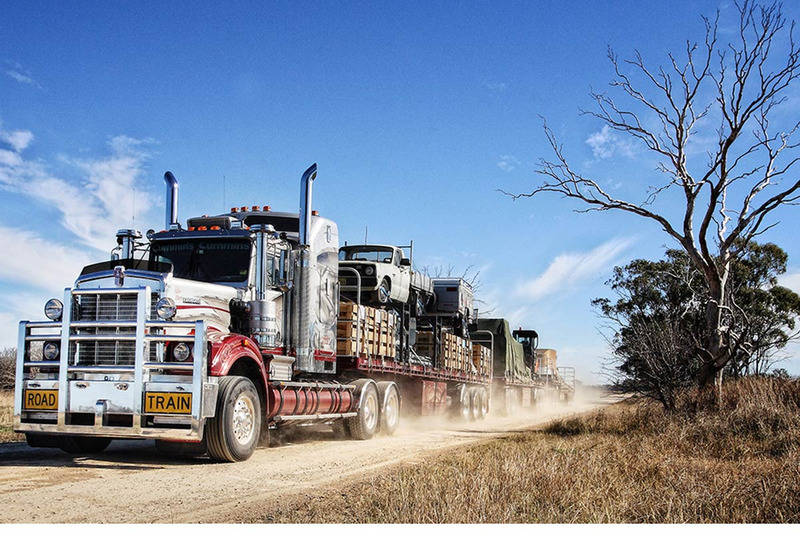 Australian designed and manufactured, high-quality materials and Kenworth’s engineering expertise, place the Kenworth C5 Series trucks at the head of the field. The front axle is set forward, with integral power steering mounted ahead allowing maximum steering angles and better weight distribution. On or off-road, the C5 Series are made to endure some of the toughest environments in the world. With a traditional full length bonnet, the C509 features a straight front frame, enabling room for a large radiator and long-range high performance engine. Available in 6×4 and 8×6 configurations and a variety of sleeper options, the C509 has higher capacity front axles, steering and suspension for the most arduous road conditions. 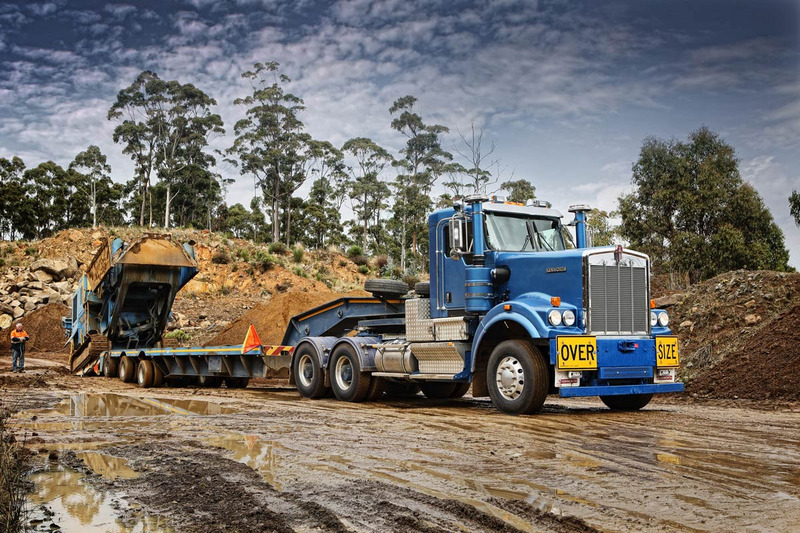 To suit your needs, Kenworth trucks offer customised wheelbases and frame layouts. We can optimise the frame layout design for maximum fuel capacity, durability and provision for auxiliary frame mounted equipment. Together with the frame layout we have an extensive range of fuel tanks for a variety of applications. Polished aluminium tanks are standard for weight saving, or you can select steel tanks for more demanding applications. The C509 is powered by the Cummins X15 Euro 5 engine available in a range of horsepower and torque ratings up to 600 hp and 2050 lb-ft. The X15 features Advanced Dynamic Efficient Powertrain Technology (ADEPT) — a suite of electronic features that interact with Eaton automated manual transmissions, dynamically adapting to operating conditions to enhance fuel economy with no impact on productivity. Manual transmissions are also available in the C509. Stepping into the cab, the Daylite door design promotes safety and confidence with an excellent field of vision from the driver’s seat of both sides of the vehicle and the rear view mirrors. The large one-piece or optional two-piece curved windscreen, offers a commanding view of the road ahead with excellent all round visibility. A wrap-around instrument panel allows easy access to controls and features an optional adjustable steering column and a “Smart Wheel” with fingertip controls, for vital operating functions including engine brake and cruise control. The overhead console includes two storage compartments with provision for vehicle information displays and radios. The cab interior features high quality “soft plush” upholstery in the traditional studded pattern, available in a choice of colours. And a range of premium seats, further enhance driver comfort and safety. With a selection of sleeper options to utilise during rest periods, you can make full use of the cab using the wrap-around privacy curtain. 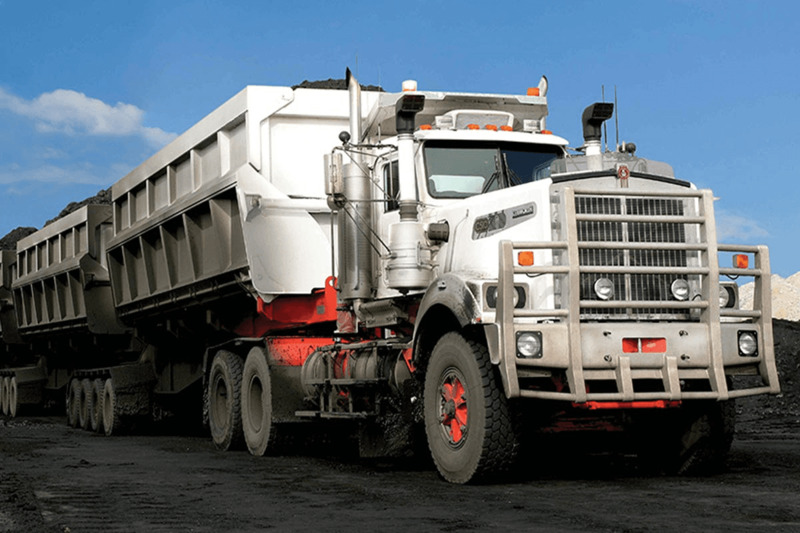 With features primarily designed to provide years of trouble free service, the Kenworth C509 proves itself daily in some of the roughest and toughest environments on earth. The C509 can be configured for very high GCM in mining and off road applications including remote road train, heavy haulage and mine service operations. Available in a 6×4 and 8×4 configuration, supreme performance, comfort and safety come together in the C509, one of the most durable trucks on or off the road. At Kenworth, protecting the driver, vehicle, payload, and other road users against unexpected hazards has always been a paramount consideration. Safety is built into every truck through Application Engineering, a design approach that also delivers optimal payloads, reliability and productivity. Aside from providing the optimal drivers’ environment to aid with vehicle control, Kenworth interiors combine classic Kenworth styling with the highest standards of cab ergonomics and safety. The wrap-around dash provides an unobstructed view of gauges and easy access to vital switches and controls. Smart Wheel fingertip access for engine brake and cruise functions deliver further driver confidence, comfort and control. Kenworth Electronic Brake Safety Systems (EBSS) further enhance vehicle control and accident avoidance, with a comprehensive list of options available including Electronic Stability, Active Cruise Control with Braking and Lane Departure Warning. Kenworth’s commitment to ongoing research, design and engineering capability demonstrates our flexibility in adapting new technologies as they come to the fore. Kenworth tests numerous advancements to identify and incorporate into production the best innovations to improve safety, environmental performance and productivity. The cab interior features high quality “soft plush” upholstery in the traditional studded pattern, available in a range of colours. The agility and strength of the C510 has been demonstrated repeatedly throughout Australia in some of the toughest and most testing environments. The C510 is available in a 6×4 hub reduction tandem-drive or a 8×6 hub reduction tri-drive. The front axle is set forward, with integral power steering mounted ahead allowing maximum steering angles, and better weight distribution, on or off-road. Engineered and built using the best components – the C510’s strength, durability and reliability results in low maintenance costs and more time on the job. Custom engineering allows each truck to be optioned to best suit its application. High tensile steel chassis rails offer a straight continuous channel and are custom detailed to suit your needs. Engineering steel, aluminium and fibreglass into one, the cab is one of the lightest and toughest cabs built and its riveted construction is easily repaired, with steel reinforcements in high stress areas. Optimisation of drive train components enables higher durability and lower fuel consumption within the appropriate operating constraints. In a C510, drivers can meet demanding performance levels with the highest standards of comfort. Kenworth cabs are ergonomically designed, roomy and easily maintained. Heavy duty closed cell insulation minimises road noise throughout the cab and all controls, switches and instruments fall easily to hand or eye, optimising driver concentration and minimising fatigue. With a high level of standard equipment and extensive options, the best in driver performance is comfortably achieved. 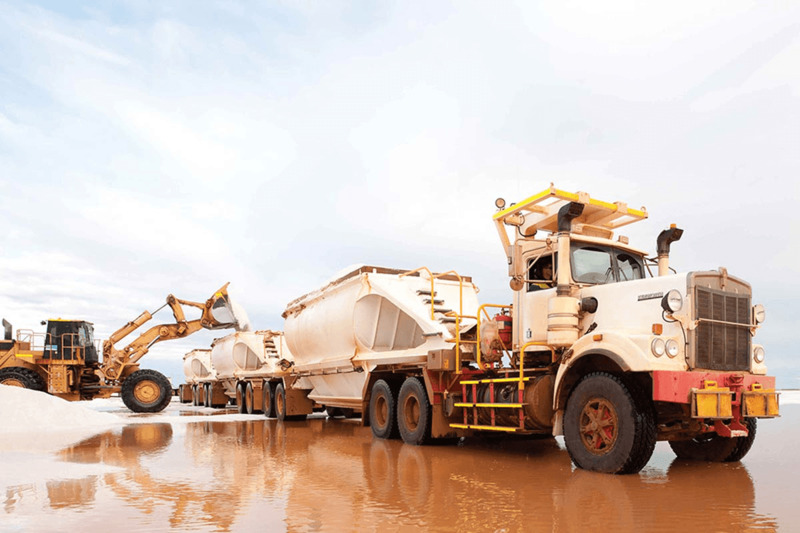 Developed to meet the needs of mine haul operations, the C510 is an off-highway truck, incorporating a 19 litre engine (600 hp/1950 lb-ft of torque) with manual transmission and a cooling capacity, which comfortably exceeds the 50ºC ambient temperatures experienced in the remote mines of Australia. 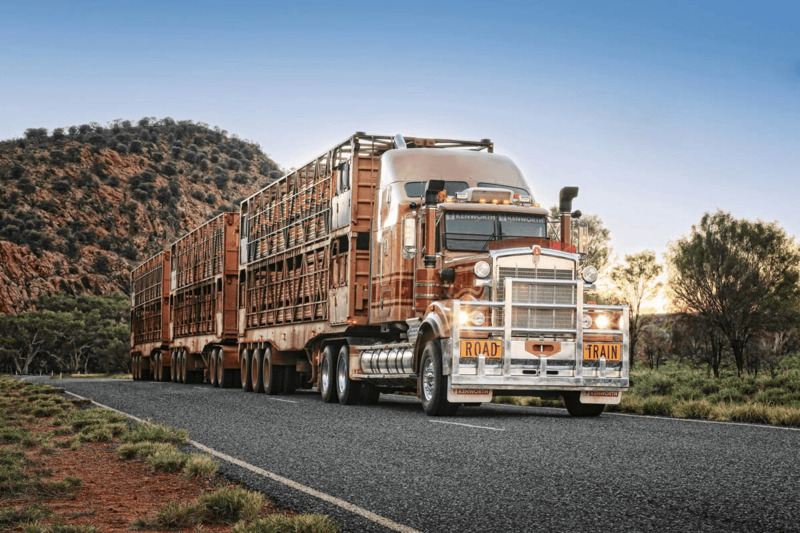 A higher cab, larger radiator core and hydraulic fan drive are all part of this Australian designed package. It’s The benchmark for all heavy-haul tractor units. 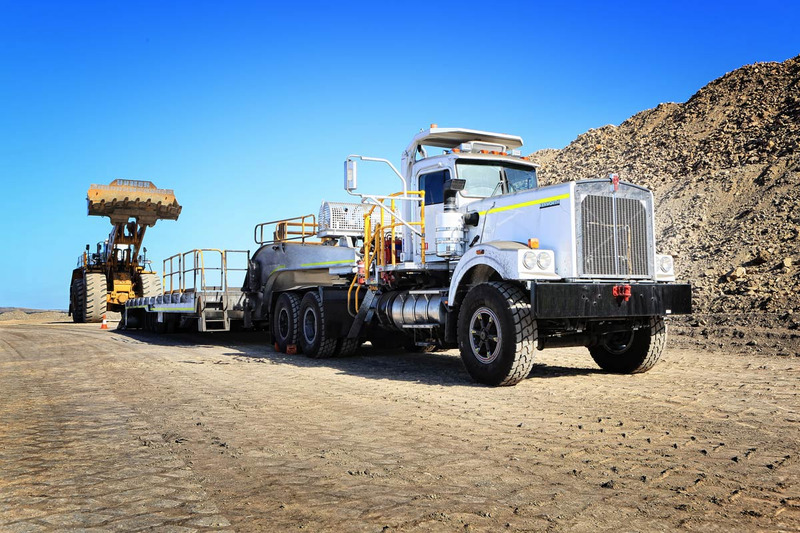 With a requirement to meet the demands of off-highway operators in the mining sector, Kenworth has designed and manufactured it’s biggest ever prime mover, the C540. Capable of handling extreme heavy-duty workloads in harsh operating conditions, the C540 in conjunction with powered trailers, has the capacity to gross 500 tonne and within the range of options available, can be custom engineered to suit its application and conditions. 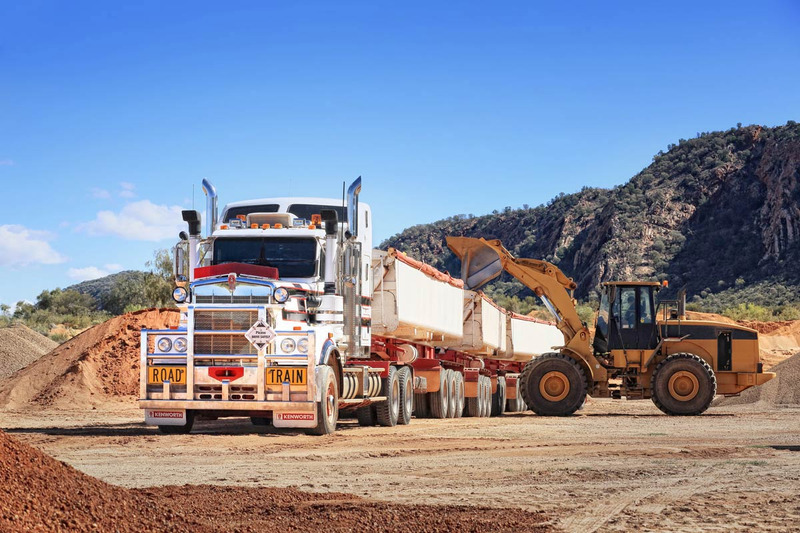 The C540 mining truck, in conjunction with powered trailers, has the capacity to gross 500 tonnes; the power to pull up a six to eight per cent gradient; the gearing to cruise at 70 kph for distances up to 100 kilometres on the flat, and the durability to do it all day, every day. The PACCAR MX-13 engine brings a new level of innovation through industry-leading quality, exceptional efficiency and proven performance. PACCAR has now delivered over 1 million engines globally, and for over 50 years has provided innovative engine solutions and an unwavering commitment to superior customer service and support. Kenworth trucks are designed to provide better visability and more intuitive control to make driving safer. Kenworth are at the forefront of collision and rollover avoidance technology, protecting the lives and livelihoods of operators and owners. There is no near enough. No compromise. 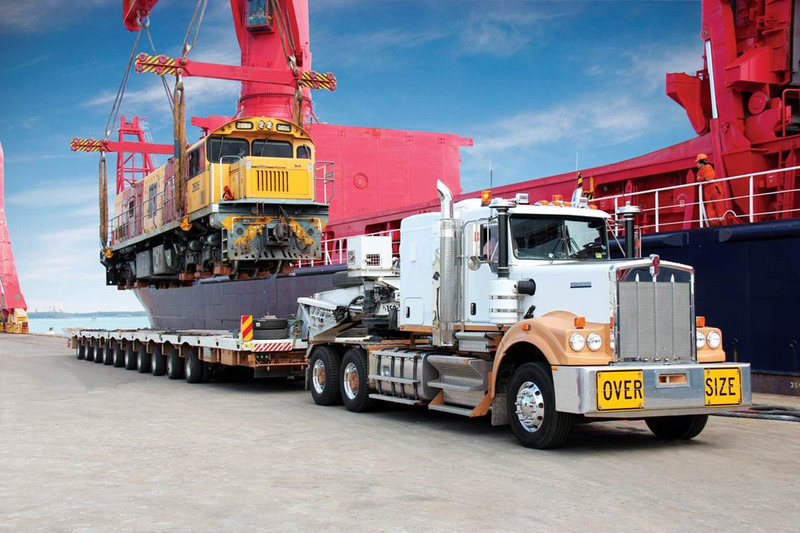 From the factory floor, to the front office, everyone is a quality inspector, and every Australian-built Kenworth is a better truck because of it.